Happy Friday! I wore this outfit to my company’s holiday party the other night and I got a lot of compliments on these party flats. I also noticed that my plaid blouse is now available in petite sizes online. I took size XXS regular because they came out with the regular missy sizes first but I just ordered it in petites to try. If petites size fits me well then I’ll probably list the larger size over on my Poshmark closet. Update 12/15: I received size XXSP today and it fits like my usual size XSP. I wore this outfit to work yesterday and I’ll try to share other ways you can style the navy mock neck top soon. Did my catch my previous sponsored post with LOFT where I styled this tweed skirt a few other ways? I typically head into the office at least three times a week and I wore this sweater the other day. Something I’ve struggled with this year is to try to buy less since LOFT has been coming out with so many new arrivals. I order a lot due to a fear of missing out on finding something cute and unique but I’ve been trying to be better about only keeping what I love and know I will wear. 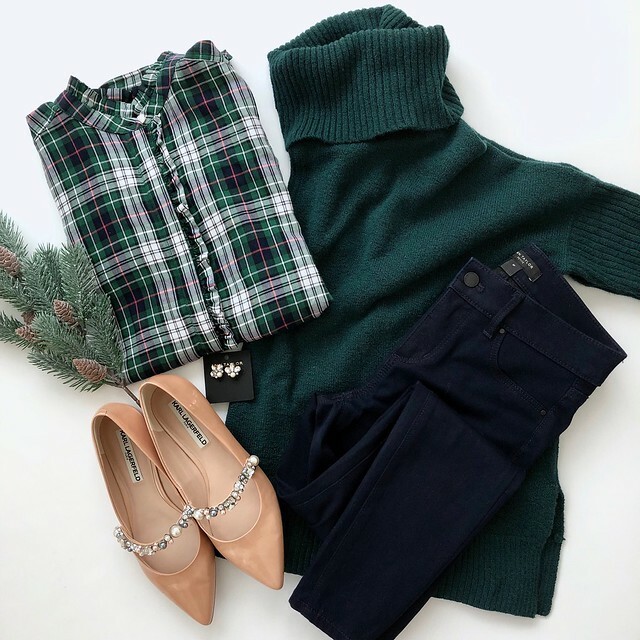 Get 40% off your purchase (cardmembers get an extra 10% off when you use your LOVELOFT or Ann Taylor credit card) using the code HOLIDAY. I noticed that non-cardmembers get an extra 10% off clearance items using the code EXTRA. If you’re shopping the no code daily deals use code LOFTCASH to save an extra $25 on your full-price promotional purchase of $50+. If you shop in stores you can redeem multiple LOFT cash cards for an extra $25 off every full-price purchase of $50+. You may want to consider signing up for mobile text alerts from LOFT in order to receive unique offers that you won’t get anywhere else. LOFT also released more new arrivals earlier this week and these are some of my top picks. I ordered quite a bit to try after I couldn’t find most of the new arrivals I wanted to see in store. Update 12/15: I received the items from my first haul early due to expedited holiday shipping and everything fit well with the exception of two items. If I find time I’ll try to share another update soon since I took pictures and video clips knowing that tomorrow will be rainy and gloomy. I am supposed to be getting our place ready for guests. 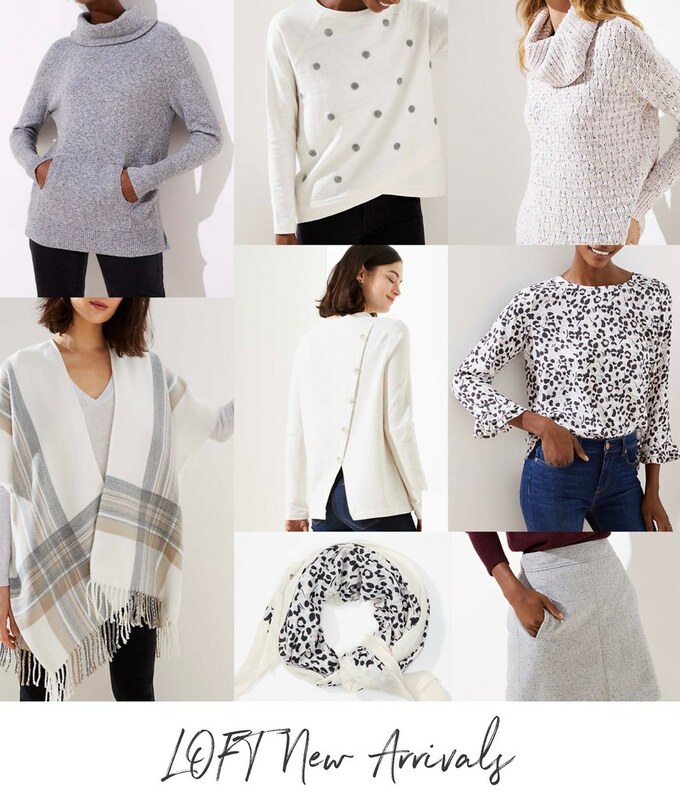 LOFT Outlet is 50-70% off almost everything plus an extra 10% off with the code TWICEASNICE. I ordered these holiday earrings when they first came out but I didn’t get them in the mail until just the other day. 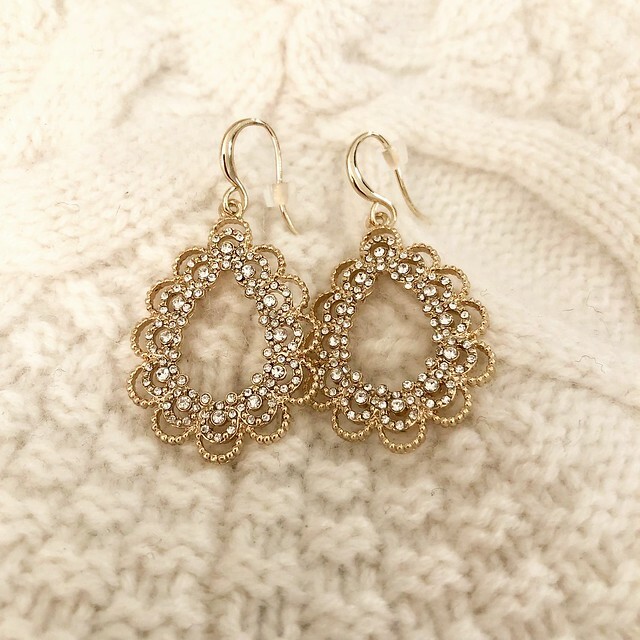 They’re really gorgeous and well made and they remind me of my other old favorite filigree earrings. It’s worth noting that the hook is thicker although it tapers and becomes more narrow in the middle but if you have smaller holes then you may not like the sensation of putting thicker hooks in. I love this gold metallic jewelry box and it would make a great gift idea by itself or if you include some pretty jewelry inside. 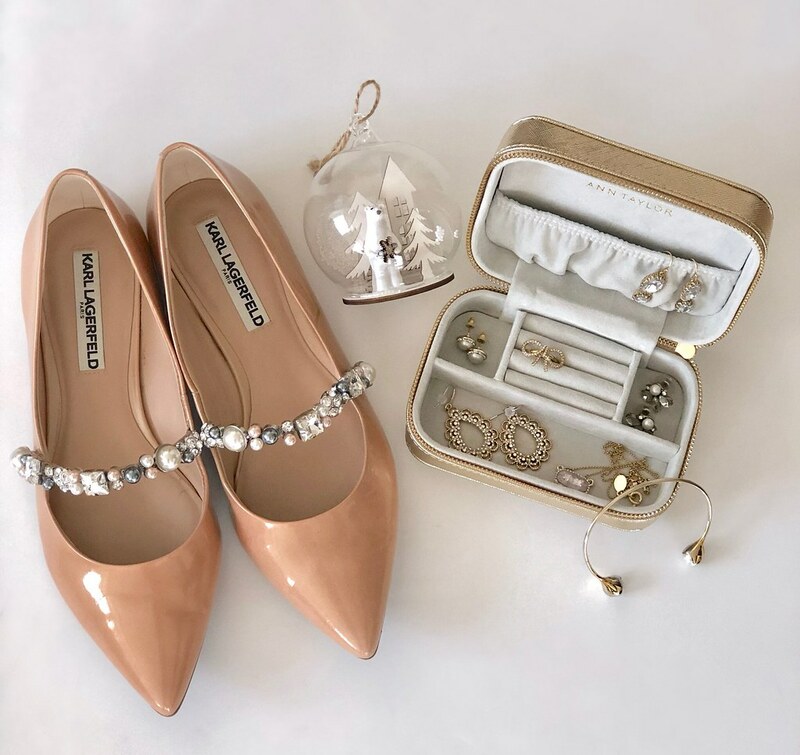 You can see the blue velvet jewelry box here.The polar bear snow globe ornament is an old find from Nordstrom Rack last year. 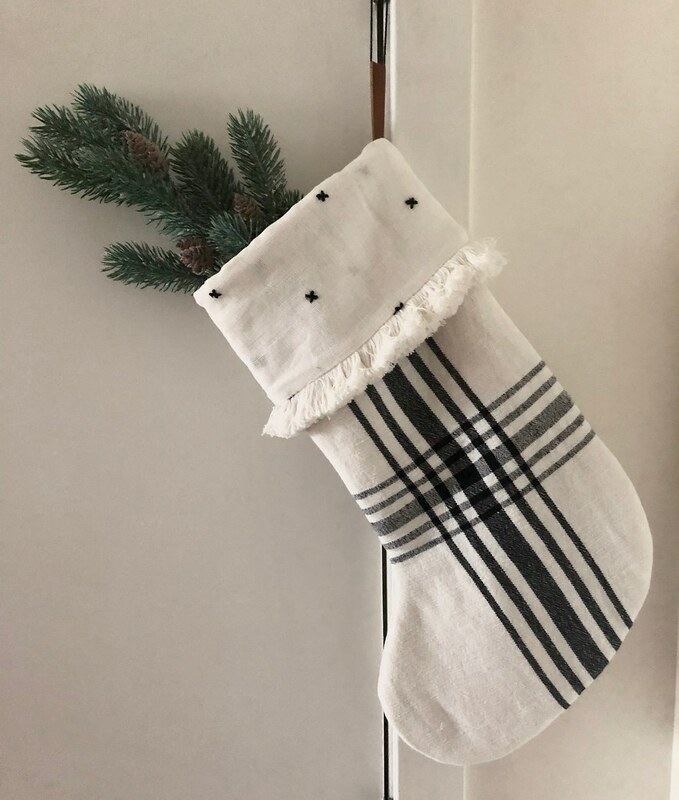 This exact Christmas stocking is old from Target last year (shop more stockings here) and the decorative branch was a recent $3 find from Flying Tiger Copenhagen. I’ve been wanting to try this chambray blouse but I forgot about it among all the other waves of new arrivals. 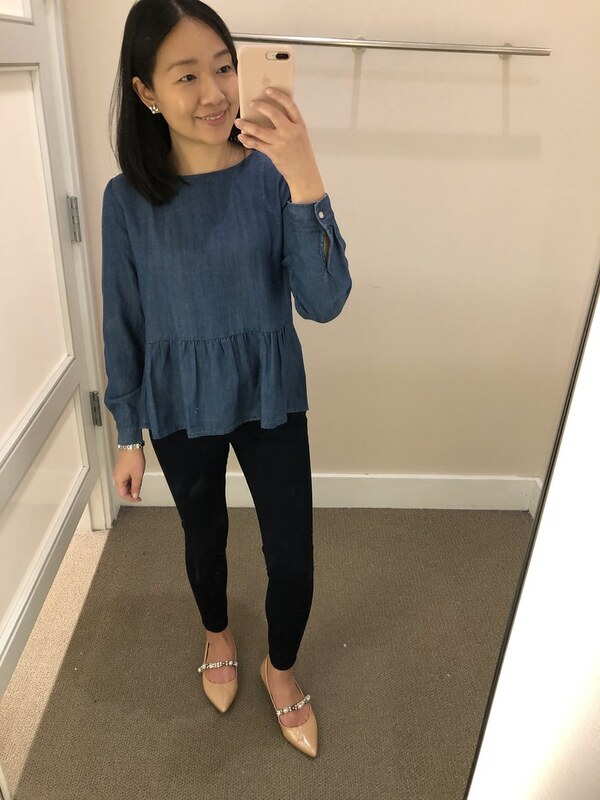 This blouse is now on sale and it will be a good top to have year round since it will look good with white jeans in the spring. It fits true to size for a relaxed fit. 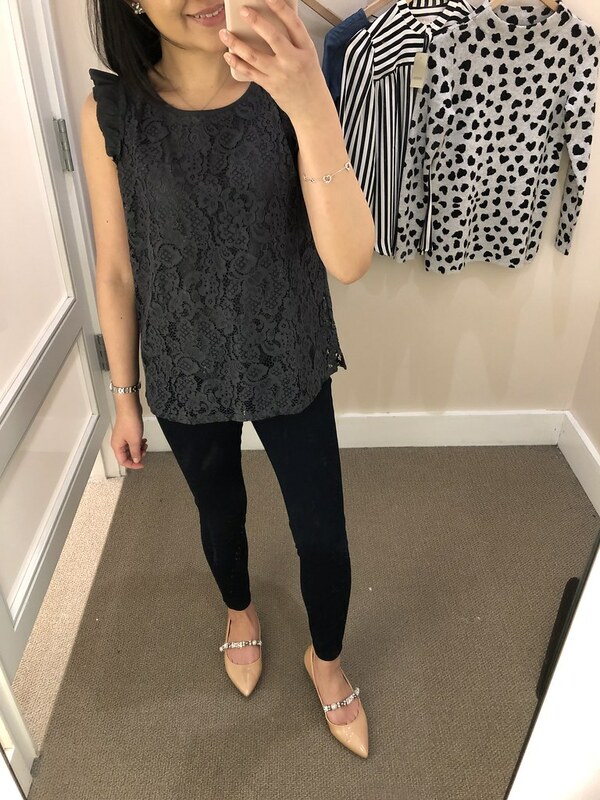 I had this top in whisper white from almost a year ago as reviewed here but I sold it on Poshmark to make room for other new things. This top is now available in blue and it runs true to size to slightly larger. I remember that for the white version the lace does tighten up when you wash it so you may need to steam it out to relax the material if you notice that it fits smaller after laundering and line drying. 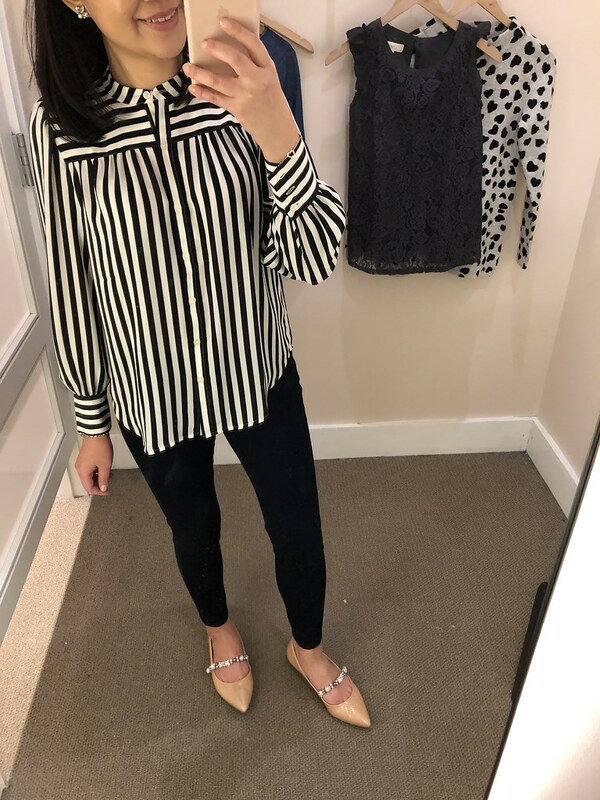 I previously reviewed this striped blouse here and here and I finally found size XXSP to try for comparison. Unfortunately I don’t love how this blouse drapes across my chest so I’ll have to pass although size XXSP fits like size XSP. It’s a beautiful blouse if it fits you well and it doesn’t have the dreaded button gap issue. Update 12/20: I just noticed that this striped dress is now online! My local LOFT @loveloft_prudentialcenter put out this sweater last week. 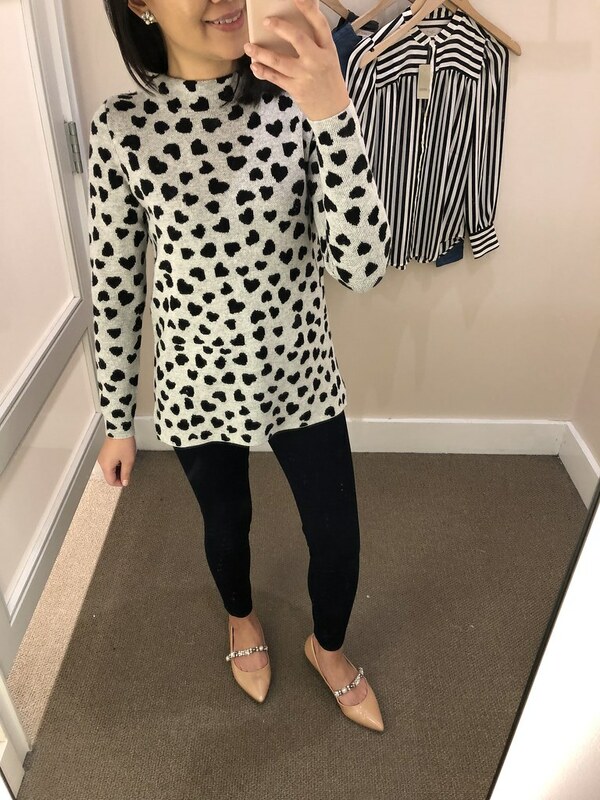 It’s a fun take on leopard print that looks like hearts. This sweater is new in stores first so it’s not sold out. It will probably be online after this sale ends since that is how they keep us coming back for more by releasing the next batch of new arrivals. 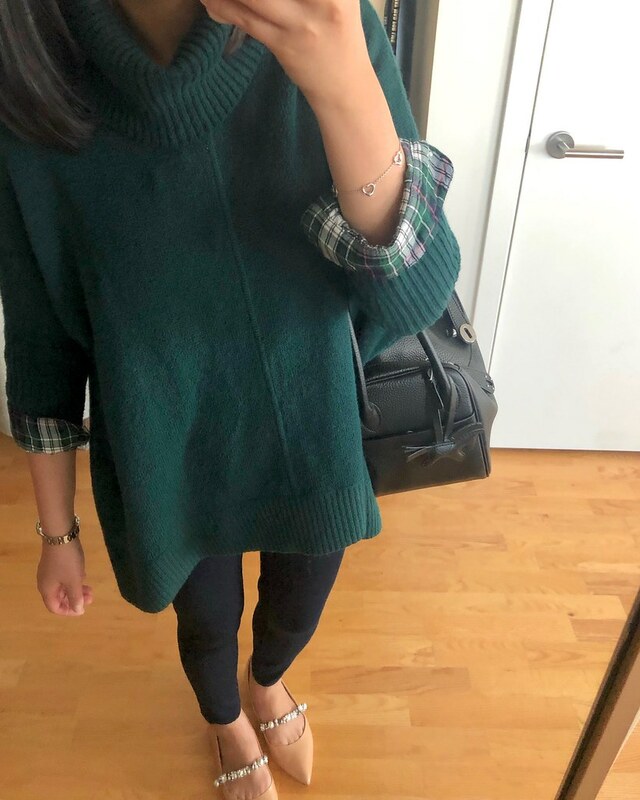 This sweater fits true to size for a relaxed fit and it has a longer length so it covers the front and backside nicely. It does contain some wool so it may be itchy for some. I also ordered this white faux fur trim hooded puffer coat but the sun set before I could get a decent photo and video clip of it so I’ll update this post tomorrow. Size XSP is a roomy fit on me which makes it good for layering. The funnel neck makes me nervous since the coat is white and the material would be prone to getting stained if you wear makeup. The jacket is well made if you aren’t afraid to wear winter white. Update: I tried on the jacket again with a casual outfit and I really love how it looks so it’s against my better judgement but I will keep this coat. Click here to see it on me. 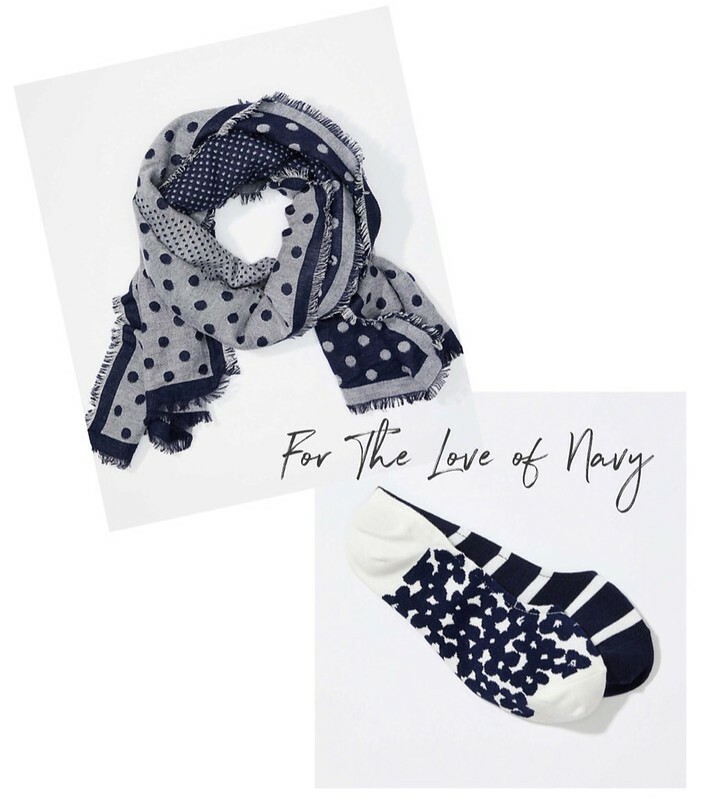 Get 50% off your purchase at Ann Taylor with the code GIVE50. Also get an extra 15% off full-price boots & booties for today’s “joy” of the day. The one day promotion on boots & booties for 50% off plus an extra 15% off stacks with code THANKS6 for an additional $50 off $100+! Tip: Sign up for ShopRunner and enjoy free 2-day shipping on minimum orders of $25+ at Ann Taylor. You also get free mail returns for orders placed using the ShopRunner shipping option but as always you can also return your online orders in stores. Being a member of ShopRunner allows me to buy exactly what I want without adding filler items to my shopping cart. I originally signed up for ShopRunner via PayPal for a free membership for two years. ShopRunner is also a complimentary service for AmEx and Mastercard holders! I have since signed up for ShopRunner through Mastercard after my LOFT card was upgraded to a World Mastercard. Ann Taylor Factory is 50-70% off almost everything plus an extra 10% off with the code TWICEASNICE. One of the sweet sales associates at Ann Taylor Prudential Center asked me to try on this velvet jumpsuit. She hadn’t seen it on any of the customers yet so I tried it on for fun and my usual size 0P fits well at the waist. The pant inseam is longer so I would need a pair of heels with the jumpsuit. Note that it is a halter neckline so you cannot wear a normal bra with it. This two in one top is well made and the faux shirttail white hem is thicker so it’s not see through. It runs longer in missy since I’m only 5’2.5″ so I would probably need this in my usual size XSP. I also spotted this burgundy floral applique sweater which has the same pretty floral applique as this sweater tee from the spring (review here). 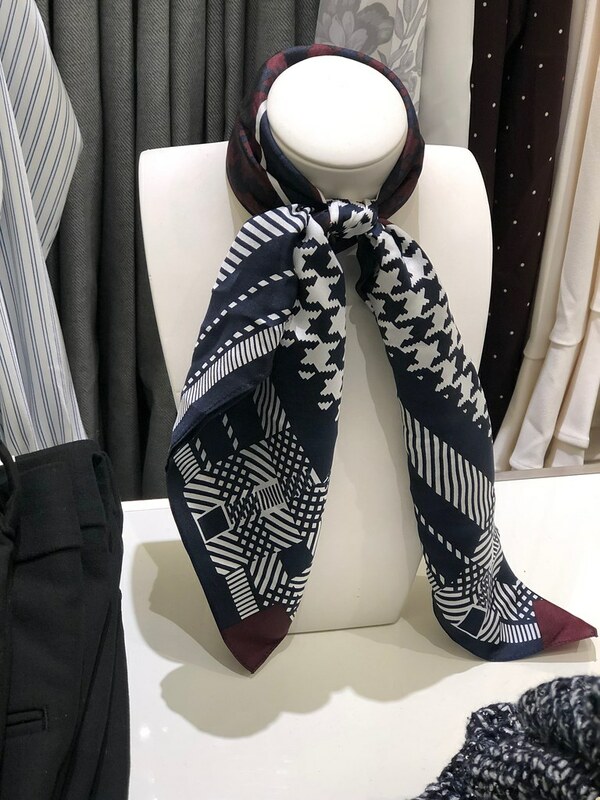 This little houndstooth scarf is navy and white with burgundy accents and it would be gorgeous tied around the neck or tied to a bag for to add some interest. I saw this tweed blazer online last night and I had to order it to try! Update 12/15: I received this jacket in the mail today and size 00P fits like my usual size 0P. The jacket has a slightly drape and it looks well made. The tweed material isn’t too thick so it’s very comfortable and easy to move around in. Update 1/11/19: My updated review can be found here. If you’re still looking for holiday outfit ideas check out other holiday style recommendations here. 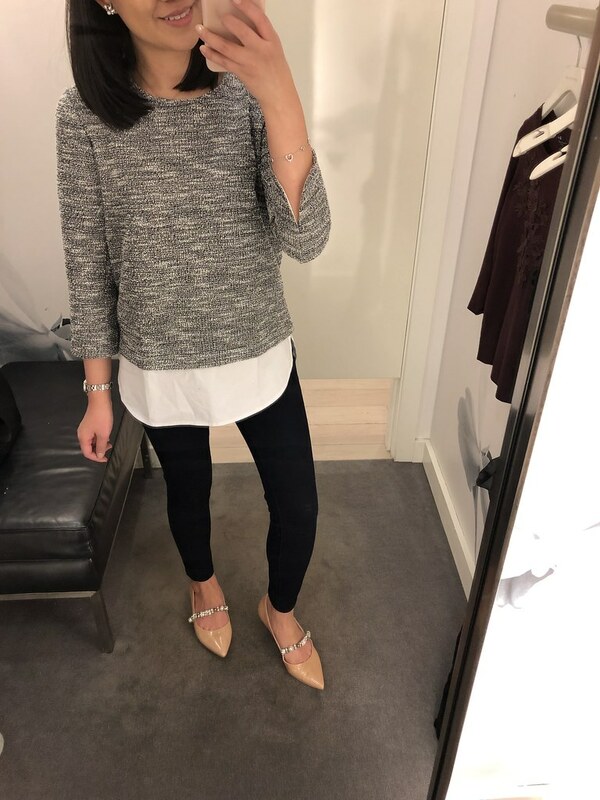 If you’re looking for last minute presents for your significant other please check out my husband’s favorite clothing picks here. I just started following Sarah @__srs__ and she has impeccable gift ideas and style. 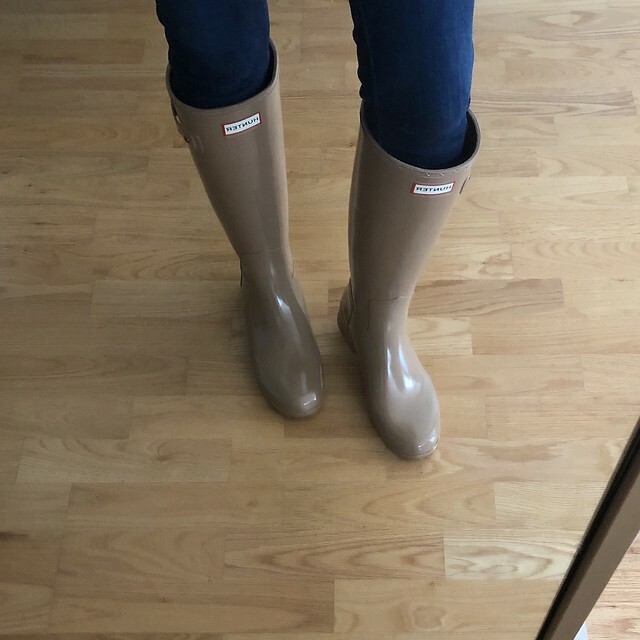 As mentioned in this post I’ve been eyeing these rain boots after seeing them at Nordstrom Rack for less. I originally ordered size 6 but they fit narrow so my usual size 7 fits me whereas I could slip on size 6 but I had a hard time taking them off since they were tight/narrow across the middle/tops of my feet. This tawny color is currently fully stocked here for $116 but I bought mine through Amazon Prime since I had a gift card for $100. The navy color is almost fully stocked at Nordstrom Rack where they’re $99.97 and I’ve noticed that random colors and sizes do pop back online. These boots are also available in a short version here and a matte version here if you don’t like the glossy look. Update 12/19: I wore the rain boots yesterday and they do feel narrow as my feet tend to swell. If you have wider feet I wouldn’t recommend them unless you try a size up. I wanted to get the shearling insoles but I would have no room with socks given how narrow they are across the tops of my feet for this refined style. Thank you, Young! They're both very unique, eye catching accessories.